The pharmaceutical industry has one of the toughest challenges when it comes to labelling. The information needs to be highly accurate for medical professionals and consumers to understand the drug. If the pharmaceutical labelling is not done right, it leads to medication errors, which leads to higher medical costs, or worse the cost of a life. The attributes 33% of medication errors to labelling and packaging issues. So what are the common problems and challenges faced when it comes to labelling? Each medication should inform users of the recommended dosage. However, administering the wrong dosage amount is not as uncommon as one thinks. For example, the drug Timentin was administered by a medical professional, but instead of giving the recommended dosage of 3.1g, the medical professional confused the reading with 31g. Look-alike medication can cause serious problems such as handing over or using the wrong medication. Look-alike medication can happen due to similar package designs and labelling among drug medications. Due to space constraints, strip medication often has inadequate medical information. The product name and other details may be mentioned only once, or appear on the corner of the strip. Symbols can be used to save space on the label, however, a problem arises in interpreting it. For example, the Roman numeral four, IV, has been misinterpreted as intravenous. Terms are constant. For example, a single dose and a single use are often swapped. For a medical professional, this leads to confusion over the recommended dosage. 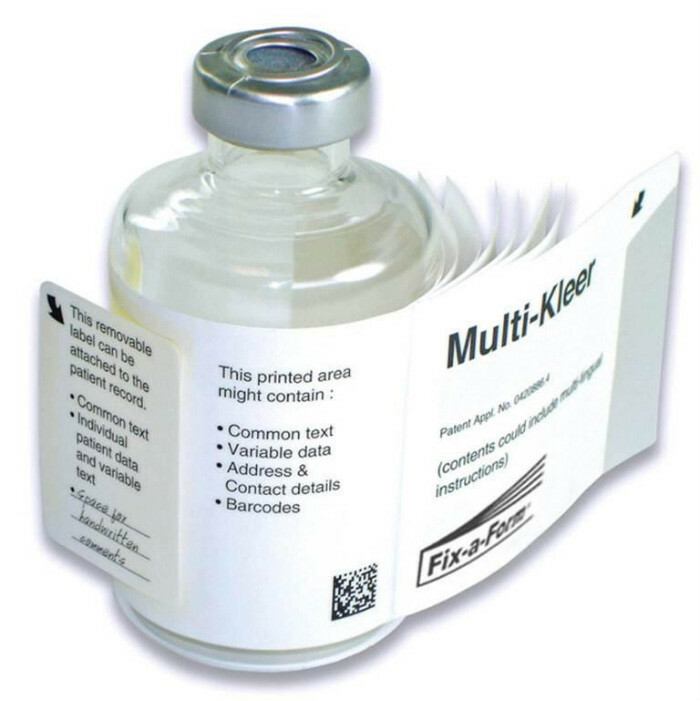 Often, the medication container and the label material is not taken into account when creating pharmaceutical labels. This leads to a ceramic print on clear glass. The lack of contrast makes it difficult to read. Use of foil label makes it makes readability a task due to the reflection and shininess. Similarly, embossed labels on transparent medication containers are impossible to read. Drugs that have similar looking names are a major problem. For example, FDA reported that a 19-year individual had a fatal complication after being given clozapine, instead of olanzapine. While some may argue that many of these problems stem from human error, everything must be done to ensure that labels for pharmaceutical medicines are created so that such problems do not occur. In the next post, we will cover various things you can do to improve your pharmaceutical labelling. The more readable your pharmaceutical labelling, the better your pharmaceutical product.